Congratulations to "Mary L." and "Bn100", the winners in Angi's giveaway. I just found out that all my digital backlist is on sale for $1.99. Okay the blatant promo is out of the way, but it got me thinking... If I could update my back list, what would I change? I have to admit that I love this book. It was originally titled SEE JANE RUN and I wrote the opening scene as it happened around me (well, not the FBI or kidnapping portion). When I first saw the cover I was amazed at the resemblance to my grandson. I also beat myself up a little that I hadn’t thought to put the toddler in a yellow rain slicker. So yes, there are a couple of things I’d add, maybe strengthen a scene where readers had a question. But ultimately, I hope the book is still a good read. 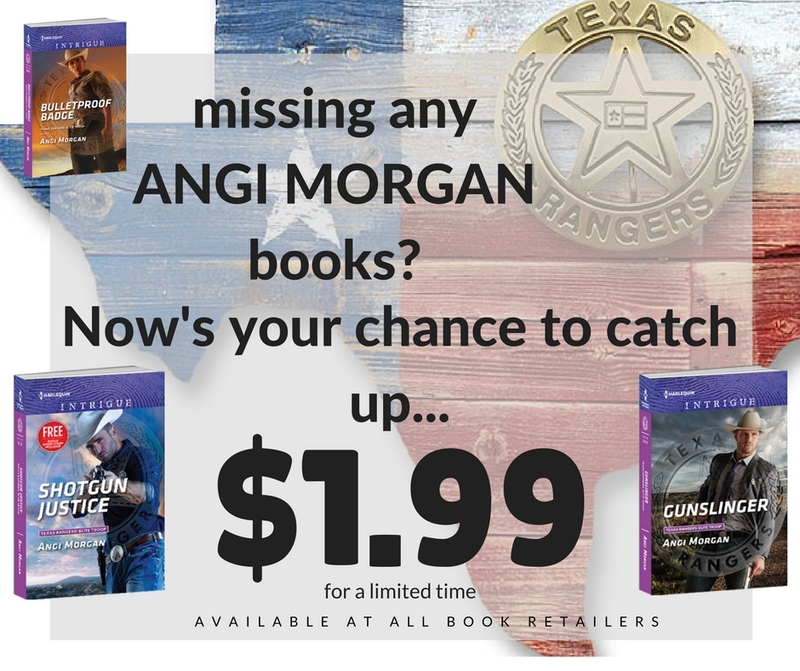 HE’D DO ANYTHING TO RESCUE HER KIDNAPPED SON… EVEN IF THAT MEANS TURNING TO THE FBI AGENT WHO DOESN’T KNOW HE’S A FATHER. 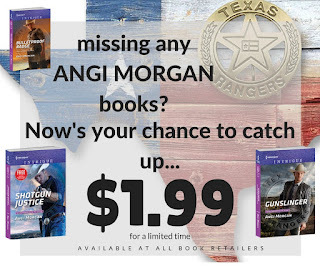 Leave a comment to be entered for two digital copies from Angi’s backlist (international drawing ends 10-17). Enter the Rafflecopter drawing for your chance at an additional prize. Do you binge read an author? I definitely binge read an author, if I love her books I will read all her books and not just once. I've been known to read the same book 6 times if I really love it. HUGS TO YOU THERESE !! I do, especially when it's a new-to-me author or I'm in the mood for a specific genre, often romantic suspense! Woot ! Sales are your friend then !! Have a great week, BN ! I binge read. Wish more folks would binge on books rather than Netflix. Will share your backlist sale on Twitter. Thank you Mary Lawrence !! That's so nice of you.